Expanded Bowie box number four picks up at a crossroads in his discography. “It was the best of times, it was the worst of times, it was the age of wisdom, it was the age of foolishness …” wrote Charles Dickens in the iconic opening sentence to A Tale Of Two Cities back in 1859. The same can be said of the titular six-year stretch of David Bowie’s career covered in this set. Expanded Bowie box number four picks up at a crossroads in his discography. He left longtime American label RCA after the inventive and rewarding, if commercially disappointing “Berlin years,” (detailed in 2017’s A New Career in a New Town) for a new home at EMI. That contract, reportedly netting Bowie $17.5 million, seemed responsible for the singer-songwriter’s direction into one that delivered hits, something his albums of the previous six years were lacking. So it was out with veteran producer Tony Visconti and in with hot disco man Nile Rodgers to help these sessions yield music that would get Bowie back on the radio. It succeeded … for a while. Until it didn’t. The simplistically yet appropriately titled Let’s Dance became — and continues to be — Bowie’s biggest selling album of originals. It yielded those elusive hits he was aiming for with the top charting title track, “Modern Love” and to a lesser extent, a re-recording of “China Girl,” originally written for, and performed by, Iggy Pop. Having then obscure Texas guitarist Stevie Ray Vaughan along for the ride didn’t hurt, although it was a bigger boost to Vaughan than Bowie. 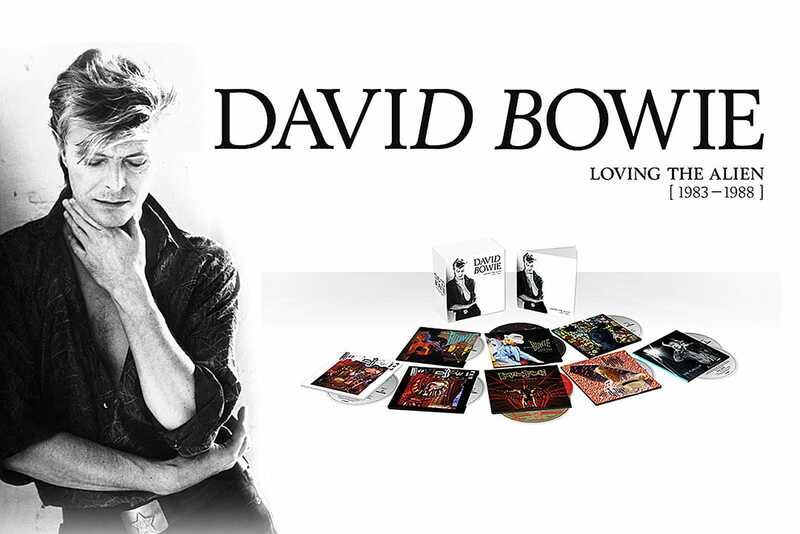 Let’s Dance is the highlight of this 11- disc compilation which finds Bowie moving from that high point to some of his most unsatisfactory, misguided, uninspired and at times even embarrassing music (the ear-wincing Mick Jagger duet on “Dancing in the Streets,” anyone?). Two more discs of 1987’s Glass Spider tour with Peter Frampton on guitar document a successful jaunt where Bowie rescued some of the newer material in a flashy, elaborate, well received live show. A Dance platter of extended 12 mixes included here is for diehards only and the fourth volume of Re: Call collects another two platters of rarities, single edits, hard to find live tracks and the like. It’s a diverse, jumbled bag of wildly inconsistent quality that includes both a schlocky Muzak version of “Volare” and a sharp re-mix of this collection’s title track. Bowie swung the needle in the opposite direction to get the bad taste out of his mouth from the self-imposed artistic limitations of these years. His 1989 shift to the raw, proto-grunge/metal-tinged Tin Machine found him temporarily abandoning his solo career and joining a band which, not surprisingly, he fronted. But that’s for the next box.